*Guest blog from Figo pet insurance. We’re grateful for their post and to be able to share this valuable information with our readers. Most pet owners feel they are doing a good job if they feed their dog or cat properly, make sure they get some exercise and give them the love and attention they need. While, of course, all of these are important to the health, wellness, and happiness of your pet, these are just the basics. Considering many people view their pets as part of the family, and many serve as companions and provide emotional support, there is more that can be done to better ensure our pets’ well-being. Many pet owners, for example, will only visit a veterinarian if a pet is experiencing symptoms of an illness or has been injured in some way. The American Veterinary Medical Association recommends wellness pet visits be scheduled at least annually. As a pet ages, more frequent visits are suggested. Owners of large pets may also want to consider more than just an annual visit. Annual visits can provide a health baseline, monitor a pet’s ongoing health, and serve as early detection of developing health problems early. Pet owners should also consider investigating pet insurance or pet health insurance. Like health insurance for people, pet health insurance provides a financial safety net should a pet experience an unexpected health issue or injury. While pet health insurance will not necessarily prevent a pet from getting ill, it can make sure pet owners have the financial resources to make veterinary care decisions that are in the pet’s best interest. In severe instances, pet health insurance can help a pet owner from having to make an extremely difficult life and death decision based on cost. While the details and language involved in pet insurance can be complicated, for the most part, it is straightforward to understand. Determine the desired limits of your pet insurance coverage. Two main aspects will affect the amount of your coverage: First is the deductible and the second is overall coverage limits. The deductible is the amount of out-of-pocket expenses an owner will incur before coverage kicks in. This amount can range from zero up to hundreds of dollars. The higher the deductible, the lower the cost of coverage. Secondly, policies generally have a maximum level the company will pay over the course of a year. (Though some pet insurance companies offer unlimited coverage plans.) Generally, the higher these limits, the more expensive coverage will be. Calculate the premium that will be paid. A premium is the cost of the pet insurance coverage. Depending on the company, it may be paid monthly, quarterly or annually. The premium is usually determined by a variety of factors—including the coverage deductibles and limits as well as the pet’s breed, age and location. Some companies provide discounts when premiums are paid annually. The good news is that pet insurance is usually affordable and easy to acquire. Pet owners should be aware of any exclusions in pet health insurance coverage. One standard exclusion is that of “pre-existing conditions.” A pre-existing condition is a health issue or injury that a pet may already be diagnosed with or have shown signs or symptoms of prior to the policy purchase. This exclusion protects the company from people purchasing the coverage only after they discover the pet has a health issue. Also, it is also not uncommon for spaying, neutering, and preventative or routine care to be excluded or offered as add-on coverage options. Make sure you understand these exclusions before purchasing a policy for your pet. It should be simple, straightforward and direct. 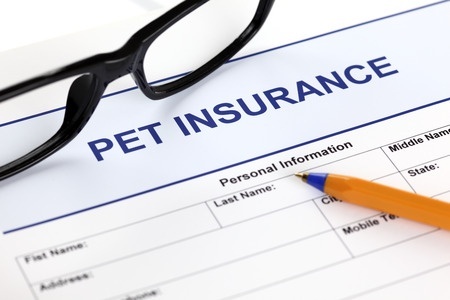 Not only should pet insurance be easy to buy; it should be simple to submit a claim. Look for a company that makes both straightforward. The company should offer flexibility. Look for a company that has flexible enough plans to suit your specific needs and budget. This allows you to choose the desired coverage at a price you can afford. It should make good use of technology. Does the company offer online forms and mobile access to your account and pet records? What “value added” services does the company offer beyond pet health insurance coverage? It should be highly rated and have a good reputation. Choosing a company with a good reputation may be one of the most important aspects of selecting a pet insurance provider. You want to be assured the company will be there when you need it. Pet health insurance can be affordable—often just $1-$2 per day, depending on your pet and chosen coverage. It is available for both dogs and cats, and signing up is usually simple. It can prevent a major, unexpected expense at an inopportune time and may keep a pet owner from making the most difficult healthcare decision possible for his or her pet. Perhaps the most rewarding part of acquiring pet health insurance is that it provides peace of mind. Be the best pet owner you can be. 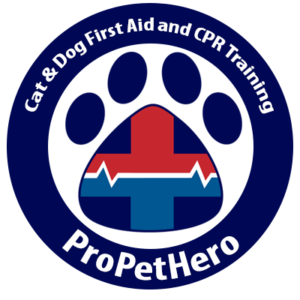 Make sure your pet is getting annual wellness checks and consider taking a pet first aid and CPR certification course. You should also explore pet health insurance for your dog or cat. Author bio: Stephanie N. Blahut is Director of Marketing for Figo Pet Insurance. Figo is committed to helping pets and their families enjoy their lives together by fusing innovative technology — the first-of-its-kind Figo Pet Cloud — and the industry’s best pet insurance plans.